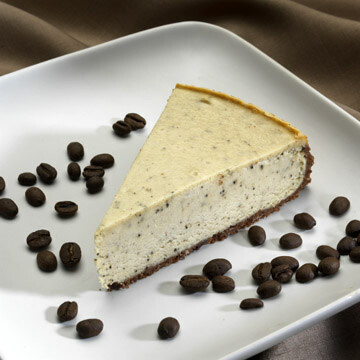 Artisan cheesecakes from scratch in over 222 flavors. We bake with a purpose! Help get our kitchen running so we can bake and do our work! I grew up in the Chicago and southern Wisconsin area with great cheesecake. I learned to bake when I was just 4 years old. As a young girl, I spent time in 3rd world countries and upon returning to the USA I knew that one day I wanted a life of giving back. I started Muddy Paws Cheesecake in 1992. 26 years later, we are still in business in the same city where I started it: St Louis Park, Minnesota! We make 222 flavors of cheesecake and we do work with many local charities. Each year we also put on cheesecake sampling event which brings in hundreds of toys and pounds of food for our charity partners: Step Emergency Program & Perspectives Family. Last year, we were an accidental target of a burglary which damaged most of our bakery. The public came thru to help us rebuild! To give them a better place to come to and to put that experience behind us, we moved to a new location mid-January 2019. To comply with licensing, we must install a tactile drain (and extensive plumbing/floor work to connect it to the main line) which will involve a licensed plumber, removal and rebuilding of our floor and walls of the (to be) sink room. We must also contract a licensed professional to install a gas line/hook up for our oven, proper ventilation, updated bathroom entrances, new electrical outlets and many other city requirements we must comply with. Without help, we may not be able to finance the new space kitchen build out. $14,000 for Other Work Needing to be done per city code. Any extra funds will go towards helping pay back the loan taken out to cover expenses of the moving truck + expenses paid for paint/flooring/furniture/ceiling tiles/signage/marketing materials and lighting in our retail area (which is done!). What you will get is your name on a wall in the community meeting space, which will be the We Built This Cheesecake wall! You will also get to attend a private party just for our investors, where will have cheesecake, live music and some surprise perks handed out! All who donate over $40, will get a "We Built This Cheesecake" T-Shirt! (You may buy a t-shirt or extra t-shirts, at cost, as well. Link will be provided here soon.) There are other perks too! *The celebration party will be early March, 2019. Share on social media and on email. Post a photo with the link so it is viewed more. THANK YOU all for helping to Build This Cheesecake! This is a rare opportunity to learn about cheese from the BEST! My friend and cheesemonger Elizabeth, who is the Certified Cheese Professional for Kowalski's, is going to teach us all about cheese! You will get to sample several cheeses, which we will pair with wine and chocolate cheesecake. It will be one night April 18th, 6:30-8:30p at Muddy Paws Cheesecake. I'm already excited! You and a guest are invited to come to our Celebration Party! And with your permission your name will go on our We Built This Cheesecake plaque. You will get 2 free slices plus you'll get to come to our Celebration Party (Admit 2) and get your name (with your permission) on our We Built This Cheesecake plaque. You can stop by anytime we are open to redeem. You'll get a tshirt and 2 tix to the celebration party! And, with your permission, your name on our We Built This Cheesecake plaque. Do you know we have our own cheesecake pans? Yep! And they are one of a kind. This is your chance to get one of pans plus you'll get a T-shirt and you'll to come to our Celebration Party (Admit 2) and get your name (with your permission) on our We Built This Cheesecake plaque. 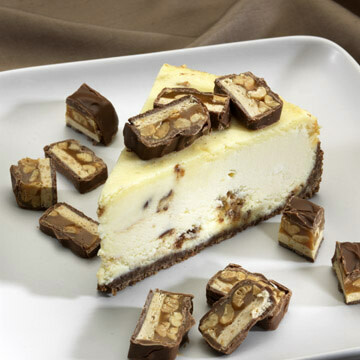 You'll get to (4/8/19 eve or 4/14/19 aft) make your own cupcake cheesecakes (1 dz cupcake cheesecakes). You'll get to take them home plus you'll get a slice of pizza & cheesecake while you're waiting for them to bake. You'll also get a tshirt and 2 tix to the celebration party! And, with your permission, your name on our We Built This Plaque. Christina, of Thyme Saver, and Tami (yep, me!) will come to your home on a Tuesday (that we can mutually coordinate) to prep meals for your week! Typically we make 3 main courses plus a side dish and chocolate chip cookies. We will be there approximately 6 hours. You will need to supply ingredients (we will go oven menu options, recipes and ingredients with you before coming). Typically main courses feed 3-5. We can accomodate diets, allergies and preferences. We will save you time while giving you yummy meals! You will get an exclusive night with Tami and a wine tasting at the bakery: 4-11-19, 6:30-8:30p. A local wine expert will pair wines with a variety of cheesecake flavors. Light apps provided too. You'll also get a tshirt and 2 tickets (*) to the Celebration Party. (*You can buy extra tickets to the party and extra tshirts, Email Muddy Paws Cheesecake by 3/15 to order extras.) Your name, with your permission, will go on our We Built This Cheesecake Wall Plaque.